Booking your flight way early will earn you a privilege not only in getting a good seat but in availing a promo or economy price. 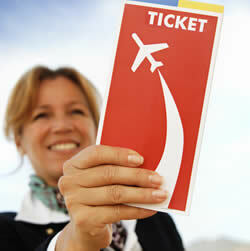 Purchasing a ticket three weeks prior to the flight, much better if a month or two, will save some sugar on the vault. Like any other air terminal, a two-way or round-trip ticket will let you amass more savings. And stay away from the dates listed in the Philippine holidays. Prices are extremely high and people come rushing in swarms during these peak seasons. Reputable car rental shops, five-star hotels, luxury Asia-renowned malls, and fine dining restaurants are just a stone’s throw away. Vacation packages including the infamous Philippine tourist spots on the itinerary can also be coupled with air transfers. And most of all, some kicks and romance!